Welcome to Birling Capital, A boutique corporate advisory & consulting firm. Birling offers its customers the service of corporate financial planning which consists of an objective and comprehensive report on the current financial situation and the development of strategies based on their goals and needs analysis. Taking into account from the income, financing needs, investment, economic development opportunities, public-private partnerships, evaluation of potential risks and other specific opportunities in each client. Think and plan long term can be a challenge when there are immediate financial pressures and uncertain income forecasts. Given the worsening economic conditions and economic pressures, the costs are rising faster than inflation, aging infrastructure and increasing expectations about service levels. The process can be difficult, but necessary to achieve financial sustainability. Our clients, both large and small, receive the highest quality advice and individual, senior-level attention they deserve. Our consultants support family businesses and entrepreneurial families in all matters of corporate decision-making and communications. From successful mandates for business-owning families and our partners’ many years of experience in family-owned companies, we are particularly familiar with the sometimes highly specific laws that govern family business contexts. Trust, discretion, and integrity are our top priority. The business models of family-owned companies or firms with families as the main shareholders do not differ fundamentally from those of other companies. However, there are sometimes special issues and challenges in connection with aspects such as governance, succession, history and sensitivities, which must be addressed and represented in strategy and communications. Other important action areas include positioning the entrepreneurial families and protecting their reputation – in line with or to set them apart from the positioning of the companies concerned. We pay particular attention to values ​​such as entrepreneurial and social responsibility, continuity, and consistency, which are expressed in long-view positioning's that go beyond the company’s quarterly reporting. The complex issues financial institutions face today are not going away – instead, they continue to get more complicated and severe, creating increased urgency to develop a culture of compliance. Whether your financial institution is a community or commercial bank, credit union, U.S. branch of a foreign financial institution, mortgage company, securities and/or money services business or casino, you are highly regulated, and the cost of implementing proper policies, procedures and internal controls continues to rise. Our highly specialized financial institutions services can help you anticipate these changes with our industry insight and expertise. We know how to best help you solve your problems. consultants to banks, credit unions and a host of other financial services entities, we understand how difficult, yet important it is for your executives to oversee and address the ever-increasing and complicated regulatory requirements and risk factors affecting their operations, while maintaining compliance, profitability, and strategic focus. Our healthcare clients, both large and small, receive the highest quality advice and individual, senior-level attention they deserve. Our healthcare team combines deep industry knowledge and global expertise to identify opportunities, provide solutions across the healthcare spectrum and strategically guide clients through accessing and managing the challenging needs of today operating environment. Our clients receive the highest quality advice and individual, senior-level attention they deserve. Birling works with bold, ambitious leaders who are not satisfied with the status quo and eager for change to address the key strategic tools that improve performance and help public-sector entities do the work they do better. Birling consultants provide the insurance industry the skills to face change on an extraordinary scale. We help them look for ways to improve profitability, while at the same time balancing the demands of regulatory change, market uncertainty, and changing customer demographics. We bring every aspect of the business into focus by helping our clients address these challenges. We provide world-class strategic, financial, operational, human capital, and IT services and draw on deep insurance industry expertise to deliver results you can rely upon. Birling works Hospitality industry fundamentals are improving and the global economic environment is primed for another dynamic year with overseas investors and private equity funds lining up to invest in the hotel. Our team with combine 150-years experience in both the debt and equity capital markets and they are regarded as key advisors on the hospitality industry. Put simply, on the hospitality industry our experience spans not only in all aspects of real estate finance and investment but it also spans to non-financial issues affecting valuations that include but are not limited to brand selection, site selection, management company issues and other issues that can affect valuations. We bring tools to the table when we are engaged on a hotel assignment. Expertise in identifying value-added and repositioning strategies that allow an investor to maximize return, and hence increase the value for our clients. Understanding how hotels operate as both a real estate investment and as an operating business, and how to maximize the income potential of each asset. Experience in all facets of the hospitality industry promotes credibility with investors and all sources of both the overseas debt and equity sources of capital. Birling leverages its deep knowledge of market dynamics and relevant industry trends to provide advice to clients in the United States and Puerto Rico to assist them in developing effective tax planning strategies that will minimize the tax costs of doing business in Puerto Rico. Working with all of Puerto Rico’s tax credit and tax incentives programs. We have successfully negotiated and monetized multiple tax credits. During the 2018 YTD we have advised in excess on $35mm. Our team combines deep industry knowledge and global expertise to identify opportunities, provide solutions across the healthcare spectrum and strategically guide clients through accessing and managing the challenging needs of today operating environment. An Analysis of your business including Federal, State and Puerto Rico income tax aspects. 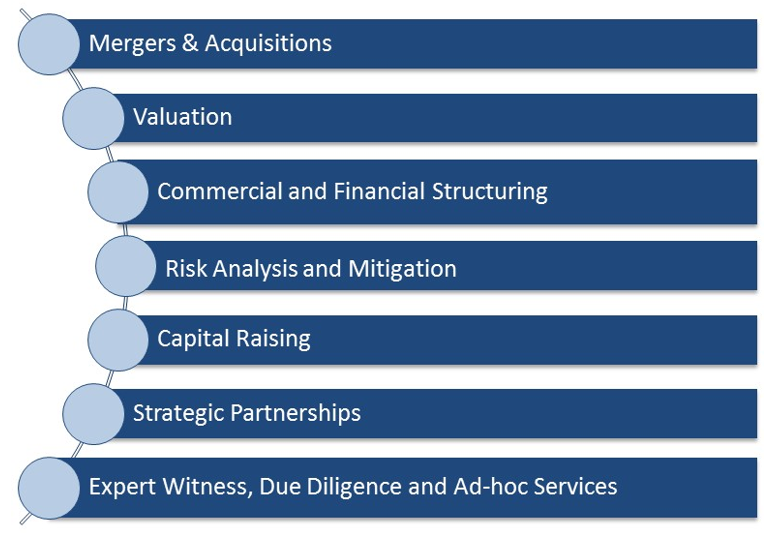 Advisory Services for Puerto Rico business structure. Negotiation of tax exemption decrees. Selection of Tax, Legal & other advisors. The Establishment of Banking, Securities & other key service providers. Assistance with Housing, Schools, Transportation, Leisure and Healthcare among other services. Welcome to Birling Capital, A boutique corporate advisory & consulting firm that offers broad corporate finance & advisory services. © 2018 Birling Capital LLC. All Rights Reserved.